An iconic classic from the golden age of Japanese animation, Gaiking, the transforming super robot is back in a trio of feature-length adventures loaded with high-impact action and mind-expanding science fiction! Far off in outer space, the planet Zela is doomed by an approaching black hole, which the diabolical Great Emperor to set his sights on a suitable world to colonize for his people... Earth! 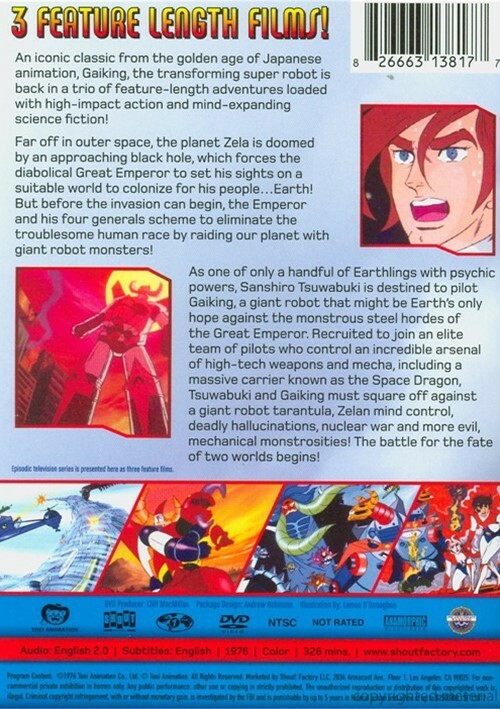 But before the invasion can begin, the Emperor and his four generals scheme to eliminate the troublesome human race by raiding our planet with giant robot monsters! As one of only a handful of Earthlings with psychic powers, Sanshiro Tsuwabuki is destined to pilot Gaiking, a giant robot that might be Earth's only hope against the monstrous steel hordes of the Great Emperor. 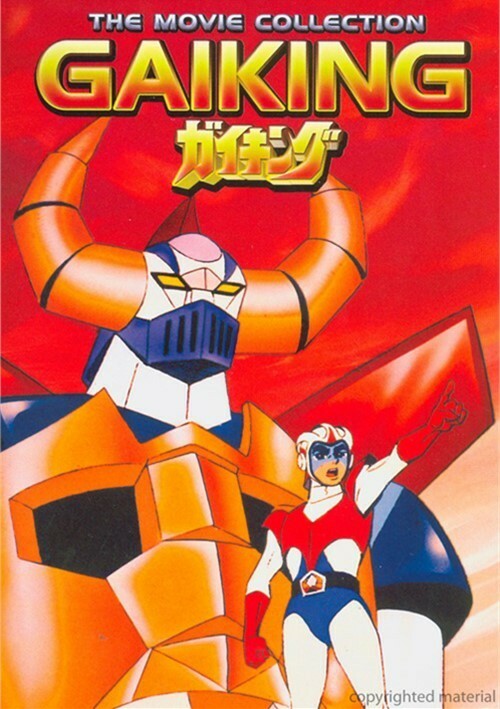 Recruited to join an elite team of pilots who control an incredible arsenal of high-tech weapons and mecha, including a massive carrier known as the Space Dragon, Tsuwabuki and Gaiking must square off against a giant robot tarantula, Zelman mind control, deadly hallucinations, nuclear war and more evil, mechanical monstrosities! The battle for the fate of two worlds begins!